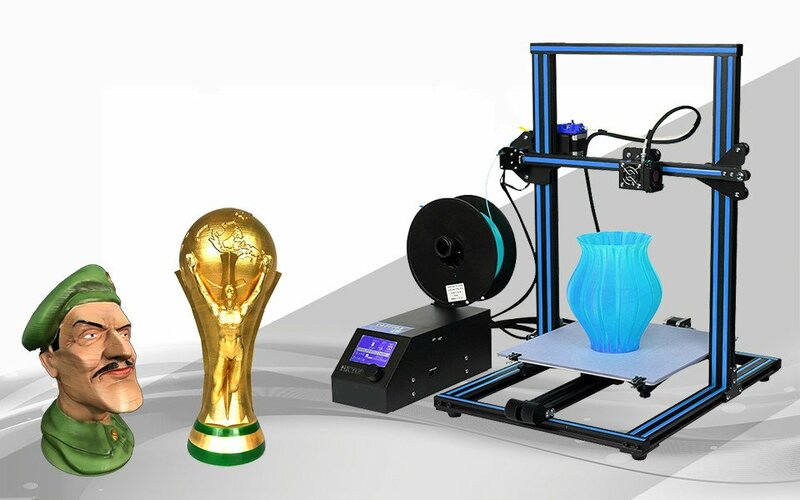 Are you still looking for a big assembled 3D printer? Then this is the one that you deserve to have. It comes with three parts, it just needs a few steps to build up. This machine(3DP-20) has big printing capacity. You can print a big model with an i3 printer. NO soldering, NO measuring. It is easy to do calibration. Every printer must have a more than 2-4 hours test printing before shipping. We will make sure all printers are in good condition. REMOTE FEEDING mode makes the extruder more lighter, faster and stable. It comes with three parts. It only takes a few steps to build it up, it is very easy and you just need about 10 mintues to build. All wires are attached with lables, Don’t worry about wrong wiring. All you have to do is hook everything up. This 3DP-20 can print big models, the max printing size is 300x300x400mm/11x11x15 inches. It also could be upgraded to 500x500x500cm if you need. Continuous working time last more than 100 hours.